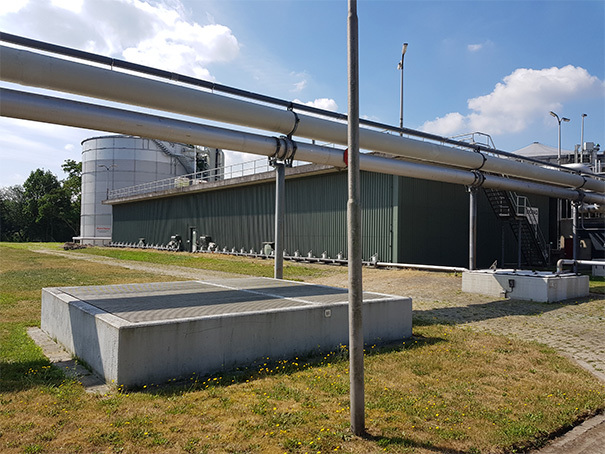 Industriewater Eerbeek (IWE), responsible for treating the Eerbeek’s paper industry wastewater, recently replaced the old (Biopaq UASB) system by the new innovative and patented HydroThane ECSB technology. IWE annually processes around 4 million m³ of wastewater from three paper mills: Mayr-Melnhof Eerbeek B.V., Coldenhove Papier B.V. and DS Smith Paper De Hoop Mill. This is equivalent to a pollution load comparable with the wastewater of a city the size of Utrecht (400,000 PUs). The reactor, in operation since beginning of May 2018, designed with a total volume of 2750 m3 and the capacity to treat up to 900 m3/h of wastewater, meets all customer requirements. No odour emission, stable/easy system to maintain and growth of granular biomass. 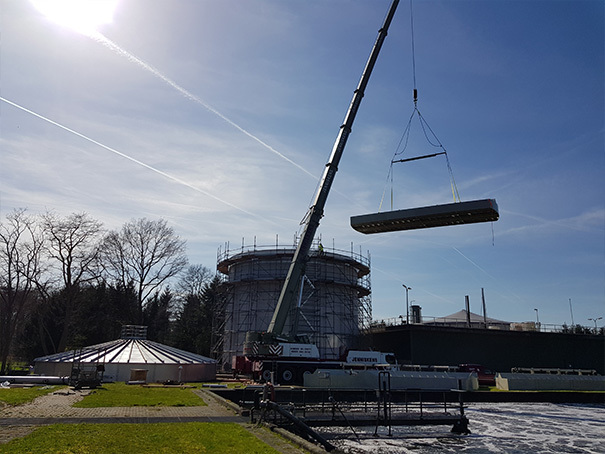 The removal rates improved (compared to the old UASB), what automatically results in less overall energy conception, less (pre-)treatment costs and more valuable biogas which is used at the DS Smith Paper De Hoop Mill. 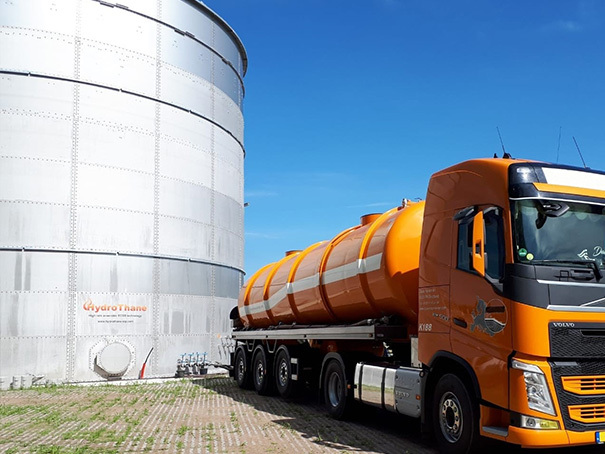 HydroThane STP is very honoured that IWE has chosen our ECSB system and that they are very satisfied with the operation and performance of the plant.